Still going strong at 37, TIFF (as everyone there knowingly calls it) delivered everything that it usually does: the Hollywood A-list pack, who love Toronto because it is: a) ‘just like America’, b) even better – America without the guns and violence, and c) a fairly short hop to make for a gilded weekend and fan adulation. That’s the first few days. Then reality sets in as the really important people appear for the next couple of weeks: independent filmmakers and world cinema directors/performers, with a cornucopia of interesting films – not always masterpieces, but more often than not full of surprises. In the main, it is these screenings that bear waiting around for. And though this piece will take a look at a representative range – Olivier Assayas’s Something in the Air (Apres mai), Kim Nguyen’s War Witch (Rebelle) and Brian De Palma’s Passion – it would be a disservice not to mention some other ‘surprises’ that caught the eye of this writer. Chief among them – and some of the best of the festival – were the wholly absorbing cinematic tales, Blancanieves by Spanish director Pablo Berger, Boy Eating the Bird’s Food by Greek director Ektoras Lygizos, which is a timely spin on Knut Hamsun’s novel Hunger, and the weirdly interesting, over-cooked and indulgent tale directed by Nick Cassavetes, Yellow – in which he puts definitive clear blue water between him and his father, John. His mother, Gena Rowlands – always welcome on screen – appears in the film. But it is to Kim Nguyen’s film War Witch that I first turn my attention. This Canadian–Vietnamese filmmaker has made a compelling, and at times distressing, film that addresses the grim reality of the child–soldier, in this case a young girl (forced to shoot her parents) who is seen to have mystical powers that can foresee trouble in battle. Though she is often physically and mentally beaten, her will to survive triumphs, and she soon meets a like-minded young boy. When they attempt to escape from this horrific life, marriage and pregnancy soon follow. I shall say no more about the plotline after this point, but suffice it to say that though violent and downbeat, this is an important film with important things to say about conflicts in several African countries, and the seemingly low value in which human life is held in some quarters. A tragic story, though with glimmers of hope and courage. 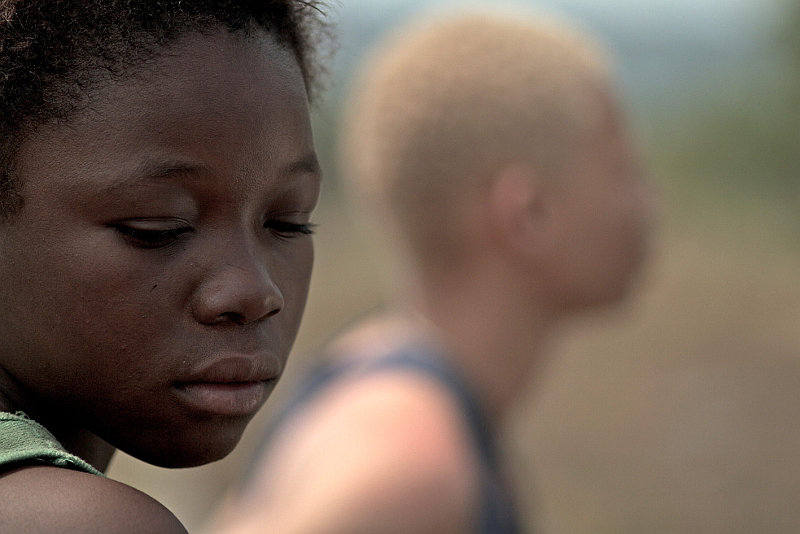 The actress who plays the 14-year-old, Rachel Mwanza, won the Best Actress prize at the 2012 Berlin Film Festival. Something in the Air visits territory beloved of left-leaning Euro directors – the events and aftermath of ‘that’ moment in French history, May 1968. The story concerns the political, artistic and sexual coming-of-age of the protagonist Gilles (presumably the director’s alter ego), as he and his friends juggle love, hate, make-up and break-up. Gloriously shot and well-meaning, there is a feeling of Truffaut, Rohmer and Bertolucci in the mix, as yet another director of a certain age composes a retrospective love letter to their past. Something in the Air is released in UK cinemas by Artificial Eye on 24 May 2013. Two very attractive actresses: one a cool and driven careerist, the other her assistant, a shy-ish, reserved type who harbours some deep sexual desires. Bitchiness, humiliation and rivalry ensue. A sub-text (rather forced) of sensuality and sexuality bubbles. The plot twists. The film looks beautiful. It is not exactly Hitchcockian but is a remake (of sorts) of Alain Corneau’s 2010 Love Crime (Crime d’ amour). Sounds to me like a new De Palma film. It is. And like other master filmmakers of late (i.e. Bertolucci, Coppola) this is a great disappointment and merely re-visits past glories without the panache or depth. Much ado about nothing, Passion is passionless.